Plot-17, Sector 75 Noida - 201301, U.P. Maxblis Construction Pvt Ltd established by Mr. Ajay Sharma has become one of the most renowned and trusted names in the real estate industry. The group believes in providing complete satisfaction to the client with state-of-the-art architecture and high quality homes. Maxblis has been vested into the development of some of the most premium residential and commercial projects in the NCT area of Noida. 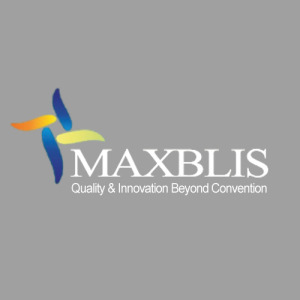 Since its inception, Maxblis has stood a cut above the rest of its competitors owing to its vision and professionalism. The group is committed to delivering homes in the most hassle-free and speedy manner. Maxblis believes in providing high quality living spaces that will enhance the value of its clientele and promote further demand. All their real estate ventures are all-compliant with statutory laws and regulations. Their strict quality policy also ensures that all safety guidelines are met. Furthermore, Maxblis’ policies mandate that all employees undergo periodic communication, leadership and skills trainings that enable them to keep their knowledge and skills updates. Under the guidance of its MD Mr. Ajay Sharma, the group has touched new heights in developing a number of projects, from group housing and residential townships to commercial complexes. The group has become a name to reckon with in the real estate sector that gives special importance to environmentally responsible development.